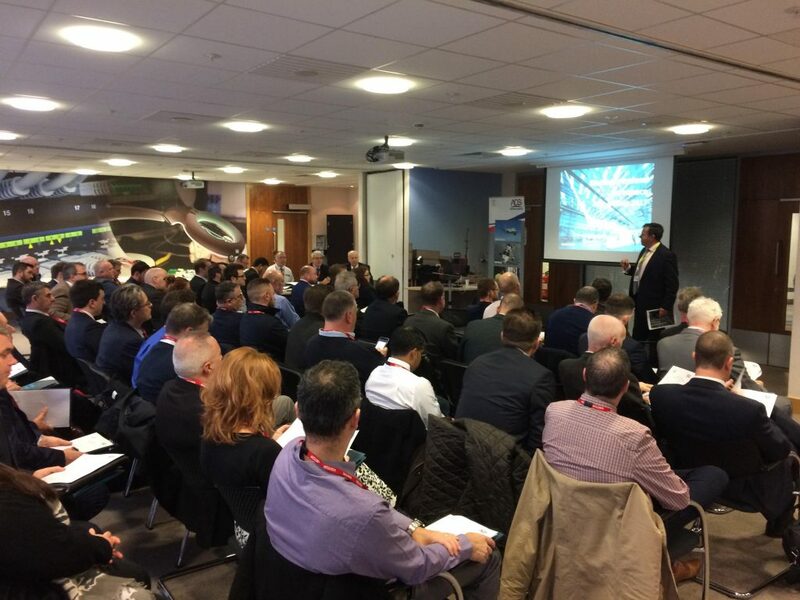 Our Managing Director Rolf Fuhrmann attended the ADS Aerospace Interiors Group Meeting in Belfast last week. The meeting was organised in conjunction with Invest Northern Ireland. The meeting brought together both Interiors manufacturers and suppliers for all over the UK and Ireland. The meeting was proceeded the night before with a Networking Dinner. Among the manufacturers that presented at the meeting were Rockwell Collins, Zodiac and Thompson Aero Seating. Following on from the meeting the attendees were brought by bus to and given a tour of the Thompson Aero Seating Facility in Portadown. Mann Engineering recently transitioned to the Aerospace standard AS9100 Rev D.
ADS Group is the UK trade organisation representing the aerospace, defence, security and space sectors. ADS is focused on representing the ambitions and concerns of these valuable wealth producing industries in the UK and overseas to key stakeholders, government, and the media. ADS plays an instrumental role in bringing Industry and government together, working closely and collaboratively to maintain and grow the UK’s world leading position in these industries. In doing so, these sectors will support and facilitate sustained economic growth in the UK and cement future sector prosperity through a strong strategy and long-term investment. Farnborough International Limited is a wholly owned subsidiary of ADS Group. The Farnborough International Airshow 2018 will run from 16- 22 July.